Once you have created an account, you should receive an e-mail containing your username and activation link. You need to follow the provided link to validate your account, or use the code to validate it through the included link. To login into the game, click on the Champions of Regnum icon on your desktop or navigate to your programs menu and click on the game's icon. You will then be prompted to accept the Terms and Conditions. Once you accept, enter your username and password to enter the game. Now it´s time to choose the realm you want to join. The three available realms are Alsius, Ignis and Syrtis. Choosing one over the other does not mean choosing a playing style. Champions of Regnum is a uniquely balanced game that allows for both intensely competitive PvP (Player vs Player) as well as deeply engaging PvE (Player vs Environment) gaming. Choosing a realm is an important decision as you cannot ally with players from other realms. To select another realm, you will have to delete all of your characters or enter another server. Once you have chosen a realm you can create a Player Character. You will find four different races to choose from. You can create up to three Player Characters in your chosen realm, to experience a variety of game play experiences. Remember, Champions of Regnum is full of choices and your actions define your style of play. You can customize your Player Character by choosing hair type, hair color, facial hair, facial hair color, face type, size, and gender. Then you will be able to customize your characters attributes by distributing 5 points. Finally, type the name of your character. You can choose any names that are not already taken. You will be able to name each Player Character that you create individually. Now you are ready to enter the world of Champions of Regnum (CoR). To access the in-game Help Window, press the "H" key. Here you will find information on the controls, interface, interaction, community, and general troubleshooting. Additionally, you can toggle playing tips by opening the options Menu -pressing the "O" key- and clicking on the "Game" tab. Use this option whenever you need to alter your game settings, including sound and video setup, user interface and controls. To move your character forward , left, right, and back, you have the option of using the "W", "A", "S", and "D" keys (respectively) on your keyboard. You can also turn left or right by pressing the "Q" and "E" keys respectively. You can change the camera angle by holding your left button down and moving your mouse around. 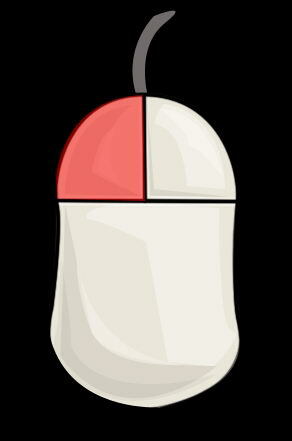 Click your left mouse button to select objects, other players, and enemies. Use the icons on the Action Bar at the bottom of the screen to ready your weapon for action or rest to regain health. For a full explanation of the CoR interface please read the Interface section. For help on playing CoR or general questions, feel free to post questions on the forums once you have created an account. Additionally, you can find further information and contact CoR technical support by clicking on the "Support" link on the top bar in web site.